Time to buy may be after the 18 year echo boom fades? 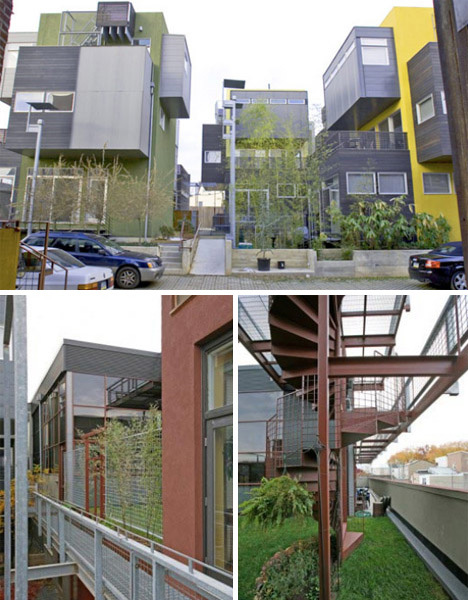 + "Buildings have very little value - the land does" ... / "basically, there is no market for secondhand residences." + But falling land prices has begun to change thinking, & J. govt. has a new program for "the 200 year home"
with features like tranquility, greenery, or views hardly factoring in." + Minoru Mori (chmn. of biggest privately held developer) warned Tokyo residential prices may fall further. Freehold is the only type of property tenure in Japan. "Land lease" applies only to buildings. 5. Checking and registration of title.
? 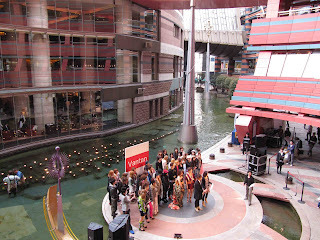 Canal City / Roppongi ? 8952 Japan R.E. Inv. Corp... : 1232643. If there is no market for second hand residences, what is the point in investing? The money to be made is now refitting older places and renting them or selling them on, or errr, living in them. The luxury market will, I think, no longer do well in the long term. Bubb, this blog, Yen for living, occaisionally has interesting articles in the Housing section. You could also try Japan Pulse. Thanks, for those links, Jake. My cyclical work on the Nikkei suggest a low in 2011. Some maybe it is too early for property purchases. But I want to look deeper anyway, partly because I am reading about yields of 6%. Obviously some people make money in property in japan. I think it is hard though and best left to local knowledge to guide you through the maze. I tend to agree. And I hate doing all the paperwork that comes with owning property. People like to invoke Japan as a model of long-running low rates, but that required part A of the above dichotomy, i.e. a truly epic property deflation. The Japanese were willing to save at low rates because the deflation meant they had higher real rates. Based upon trading levels, of property shares, they are headed back down again. may be headed the UK's way, now that reckless borrowing is being made a thing of the past. hey Dr Bubb, is there a chance of finding up to date grap of that second chart 'urban land prices'. from my recent purely visual understanding, there is a two tier problem. desireable areas could be streaking away whilst depopulating, country areas are still going down. This is all part of the new demographics and the locations of markets and jobs. 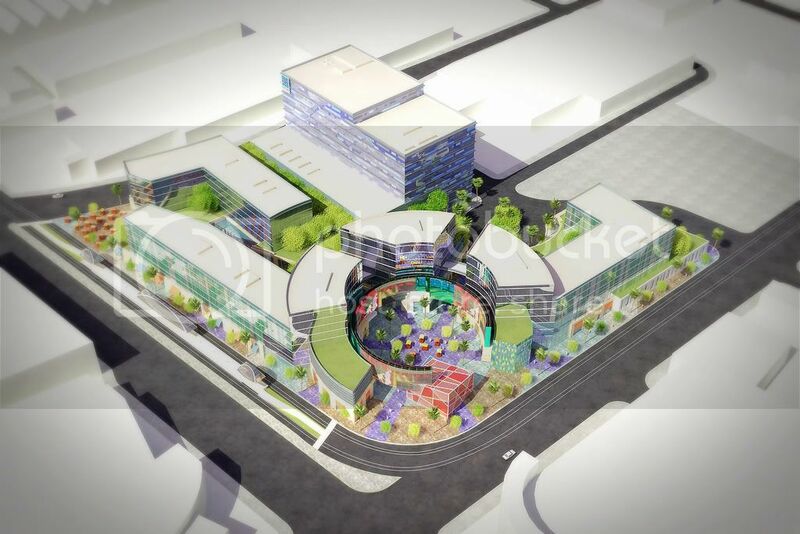 Meanwhile big corporations like aeon 7-11 group are sweeping up agricultural land, enlarging smaller farms and land and running their produce to their supermarkets. It makes sense. Land there is cheap and they scoop it up and use it to feed their markets. Smaller faers stand no chance. If I were you I would investigate these producers, their machinery etc rather than the property angle. Country area near me, land down a massive 13 percent whilst up the road in the largest town land is increasing as the population moves for jobs etc. Japan has been and still is gyrating to the changes in" gappey"- town mergers and centralization. The boonies are broke and have nothing but tunnels and emptying schools to show for it. Malinvestment par excellence. My town has 2 newish scoops, spanking new hospital, hot spa, new town hall, tunnels galore and one quarter of the pop is over 65 and there were 2, repeat 2, new kids in the local kindergarten this year. 5 years ago 98 kids, today 26. Meanwhile the aforementioned town up the road ( the new capital) is filling and hard to get kids into kindergarten. Lots of new property there too and plenty of stuff going up. If investing you want to check out these areas IMO . Generally land going down but pockets shooting up? MAYBE. That "Land price" charts is old. Something I grabbed from the web years ago. ...big corporations like aeon 7-11 group are sweeping up agricultural land, enlarging smaller farms and land and running their produce to their supermarkets. It makes sense. Land there is cheap and they scoop it up and use it to feed their markets. Smaller faers stand no chance. If I were you I would investigate these producers, their machinery etc rather than the property angle. Country area near me, land down a massive 13 percent whilst up the road in the largest town land is increasing as the population moves for jobs etc. Japan has been and still is gyrating to the changes in "gappey"- town mergers and centralization. The boonies are broke and have nothing but tunnels and emptying schools to show for it. Malinvestment par excellence. My town has 2 newish scoops, spanking new hospital, hot spa, new town hall, tunnels galore and one quarter of the pop is over 65 and there were 2, repeat 2, new kids in the local kindergarten this year. 5 years ago 98 kids, today 26. Meanwhile the aforementioned town up the road ( the new capital) is filling and hard to get kids into kindergarten. Lots of new property there too and plenty of stuff going up. Interesting comments about where the growth is happening. People want to be close to jobs, and with fewer children, there is less need for the "suburban arrangement"
I see this trend developing in other countries too, as they "catch up" with the economic slump in Japan. will be far better than "dream homes" in the suburbs. Obviously, there's a big risk in the suburbs from peak oil, also. According to a recent article in Shukan Asahi, condo developers are stuck with inventory that they can’t get rid of, no matter how much they lower the price. Many of these companies are selling their unsold condos to outside agents for as much as 30 percent less. In some cases, these agencies have to sell the units for even less than what they paid for them, basically “dumping” these units onto the housing market. Needless to say there are many people who may be interested in such cheap housing, but finding these units takes more time and effort than they have. There seems to be no one place where this information is available. What’s finally attracting more interest is older condos that are available dirt cheap. The article uses the example of an editor who bought a small 35-year-old maisonette-style apartment in trendy Kichijoji for only ¥5 million and then spent ¥2 million fixing it up into an “English-style” residence. Buying an old condo, even in a buyers market, no matter how cheap or what you plan to do with it, can be a risky endeavor. Like old single-family homes, they weren’t necessarily meant to last. After 40 years the residents of a condominium may decide to reform their building, but if the zoning laws have changed in the meantime, they may not be able to rebuild it the way they want. They might have to lower the height and thus eliminate some units, or they have to build more units and attract new tenants in order to make the rebuilding costs affordable to all the owners. It’s too much trouble, so people tend to buy new condos. But old government-built apartments, colloquially called danchi or kodan, are less risky. Those from the ’60s and ’70s were built to the highest standards of the time, so they are structurally sound, and because many were built on government land outside of city centers, zoning is not a problem. Usually, older danchi are not very tall simply because the government did not want to install elevators, which are expensive to maintain; and they made sure there was lots of land surrounding the structures for use by families, so rebuilding later is much easier. Fixing up a servicable "older condo" close to public transport is probably a smart way to go in Japan. I bought some shares in JRIC.L last year, and flipped most of them at a nice profit not long ago. I am awaiting an opportunitry to buy back into that one, or another Japanese property stock. The number of new condominiums put on sale in the greater Tokyo area in September fell 19.8% from a year earlier to 5,202 units, the second consecutive drop in two months, the Real Estate Economic Institute said Tuesday. The decline reflected condominium developers’ reluctance to see their inventories increasing as condominium prices have risen fast enough to dampen demand, analysts said. The number of new condominium units put on sale in the this year is likely to fall below 65,000 units, the lowest level since 1993 when Japan was reeling from the collapse of the bubble economy. Many consumers are shunning purchases of condominiums as their prices have surged, leading to an increase in condo inventories, institute officials said. The only area of condominium sales that remains robust is the most expensive developments, but this trend is prompting developers to limit supplies at the lower end of the market in the hopes of generating price increases. The new condo supply from January to October totaled 48,963 units, raising the possibility the full-year supply will fall short of 65,000 units. Only 62.5 percent of all new condos that went on sale for the reporting month found buyers, down 14.1 per cent down from the previous year. The average price per condo unit in Tokyo and neighboring areas rose 8 percent to 46.93 million yen. For Tokyo’s 23 wards, the average price rose 23.2 percent to 62.99 million yen. Condo supply in the Tokyo metropolitan area in 1993 amounted to about 44,000 units. Due to the subsequent condominium sales boom, the number of units put on sale was recently consistently in the range of 70,000 to 80,000 units. But the condominium industry is now concerned about the negative effects of rising prices and the enforcement of an amended building standards law for stricter screening. “We’ve entered a difficult phase,” said Takashi Iwao, president of Haseko Corp., a condominium developer. The institute projects November’s new condo supply in the greater Tokyo area at around 6,000 units against the year-before level of 6,859. The greater Tokyo area covers the prefectures of Kanagawa, Chiba and Saitama as well as Tokyo’s 23 wards and outlying areas. By area, new condo supply in October went down 10.9 percent for Tokyo’s 23 wards and 45.3 percent for Kanagawa Prefecture, the institute said. However, the supply was up 24.3 percent for areas in Tokyo excluding the capital’s 23 wards, up 12.5 percent in Saitama Prefecture and up 61.1 percent in Chiba Prefecture, it said. Combined with a similar drop in new construction starts, we wonder if this is the beginning of a downturn in the Japanese property market as a whole? What struck me most about canal city during my visit, was that while the development has a number of big stores they do not monopolize the experience. When walking through your standard North American shopping mall in the major stores are used as anchors at either end of the main shopping street and thus they tend to define the mall being both its beginning and end. This is done on purpose as a way to increase traffic between the anchors so that people will pass and by extension patronise the smaller stores located between along the mall’s main routes. In the case of canal city most of the anchor stores are tucked away in a single Mega Store building at one end of the complex and are removed from the sight lines of the main street. Instead the complex is framed by things like that Fukuoka City theater, the water way running through the middle, the outdoor theater, and the two hotels. What generates foot traffic in Canal City is the architecture itself, the building is so interesting that you are compelled to experience all of it. Are there two Canal Cities ? ...also known as 'Artelligent City,' is one of Japan's largest integrated property developments, located in the Roppongi district of Minato, Tokyo. Constructed by building tycoon Minoru Mori, the mega-complex incorporates office space, apartments, shops, restaurants, cafés, movie theaters, a museum, a hotel, a major TV studio, an outdoor amphitheater, and a few parks. The centerpiece is the 54-story Mori Tower. Mori's stated vision was to build an integrated development where high-rise inner-urban communities allow people to live, work, play, and shop in proximity to eliminate commuting time. He argued that this would increase leisure time, quality of life, and benefit Japan's national competitiveness. Seventeen years after the design's initial conception, the complex opened to the public on April 23, 2003. 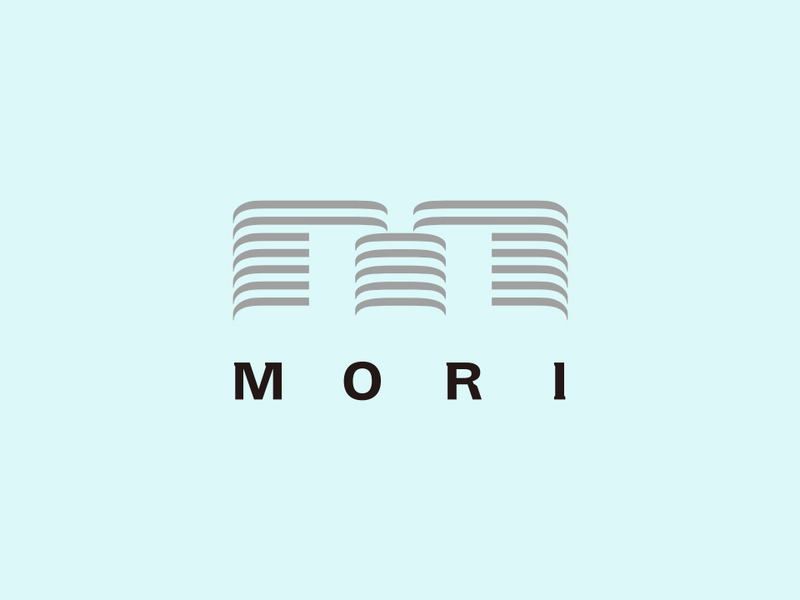 Mori Building has financed the project with $800 million equity and $1.3 billion in debt from a syndicate of banks led by the Development Bank of Japan. As a result, the company's overall debts are $5.6 billion, secured by billions more in assets. Goldman Sachs & Co., the project's anchor tenant, attracted deep discounts in rental prices because of the large amount of space it occupies. Japan's sluggish economy, staff cuts by foreign companies, and the flow of new office space have put downward pressure on rents. Because of conservative eminent domain law in Japan, several past residents of the site that would be Roppongi Hills have been given residential units in the complex in return for their agreement to vacate their prior homes, so that their prior homes would be demolished and the land use for the development of Roppongi Hills. The Tokyo Midtown, which is Tokyo's latest mixed-use development project, is built less than a kilometer from the borders of Roppongi Hills. As it will incorporate Tokyo's tallest building, a sizable park, and a museum, in addition to a complex of residential and offices, it was expected that this project would increase the competition for customers upon the opening. However, as of January 2008, the Tokyo commercial real estate market is still suffering from insufficient capacity and occupancy rates throughout the city are at record highs. The "cultural heart of Tokyo" ? Want to experience the latest that Japan has to offer? Look no further than Roppongi Hills. Built by the Mori Building Co., the largest developer in Japan, the new $4 billion mixed-use commercial development has forever changed the Tokyo cityscape. "I want Roppongi Hills to become the true cultural heart of Tokyo," says builder Minori Mori. It is that and much more. Mark Brophy, manager of Japan sales and corporate events for Tokyu Travel America Inc., recently took a group of 25 incentive winners to Tokyo, and says that Roppongi Hills has made the area more welcoming to groups from the United States. "The site is modern, with many luxuries and amenities that the discriminating Western traveler or businessperson is looking for," he says. Most helpful is that all staffers at Roppongi Hills are required to speak conversational English, a luxury not found easily in all parts of Asia, and a necessity for getting around Tokyo. Brophy says:"The staff is multilingual and ready to help guests with any requests." Kichijoji gets a passing mention in most guides to Tokyo if only for Inokashira Koen, a park celebrated for its spring cherry blossom viewing (hanami). However, there is more to Kichijoji than cherry blossoms. Kichijoji is located in the city of Musashino, to the west of Tokyo, less than half an hour by train from the center. It has been an entertainment and shopping center since markets and shopping streets began to develop around the station after World War II. Department stores, music venues, bars and restaurants soon followed. I think I stood on top of that thing a few years ago. Very nice views IIRC. Where are you based Jake? Sounds like you are away in the boonies somewhere. I love rural Japan. Bring me those Onsen now!! I used to live about a mile from this Mori Towers building. It went up while I was there - amazing to watch. The Hanzomon line takes you through Omotesando which is a fantastic place to live - near Roppongi etc but also close to Shibuya, Shinjuku and the sports complexes around the national stadium. I used to cycle all around there. Great way to get about! There is only one Canal City. Its a dirty little canal nearby with lots of whoring holes and it's not a city. It is very very cool for the first 3 times you go there. And the hotel is wonderful, the perfect place to stay in Fukuoka. But the whole 'experience' wears off quickly, same with any of these places. Ask the locals who prefer the hipper Tenjin. Still it is better than any western Mall type thing in the west. It will be interesting to see how these mall type places re invigorate themselves after they become 'tired'. Many good retail shops come...and go. My verdict-a future cemetary, but a nice one. Fukuoka is a great city but it is all built on sand (reclaimedland). Woops. BTW Roppongi means '6 Trees' in English. Area is awesome but I wouldn't give it 6 minutes in a city overdue a massive earthquake by over 60 years. I would consider buying Tokyo after an earthquake, but never to live myself. Yes Wanderer I am in deep country and that's the way I like it. Plenty of food, water, wood, space, sea and few people. I can be in Fukuoka in 35 minutes. 52 Week Range: 561,000. to 767,000. I think Japan's living arrangement is easy tu sum up. You either are very lucky and have a house in a city passed down for generations. For most mortals though city life means a condominium ( small flat) then you have commuter towns- surburbia- where you have a small house and a long loan, a train commute and never see your family or you live in the country and have a nice big comfortable place surrounded by grannies and farmers. Japan doesn't do Mc mansions in the suburbs- way too expensive even after 20 year falls. nb please forgive countless spelling errors today. I am on i phone Internet connection. Amazing from where I am in japan. At least something is sorted here. beware of castles in the sky. Anyway you cut it to me Tokyo is a dead city walking. That pains me to say it because it is a brilliant place but it's ephemerality will be fleeting as the sakura. Such is japan. And that is one of her attractions IMO . I reckon you are right about that. Prices for secondhand 2BR-3BR flats in Rippongi / Akasaka seem to be running $500k - $1 million. Is that right? New luxury properties can be up to 10x that. Can you really get a 35 year old renovated flat in Kichijoji for Yen.7million - that's under $70,000 / under Pds.50,000. about how to live in the future. or big cities in the US, UK and Europe.